blo Teens Read and Write: Cirque Du Freak fun facts! Did you know that it was originally planned to be a 24 book series? Yeah, could you imagine having the whole set! Half of the books were supposed to take place in the future wasteland that is shown in book 10, but eventually Shan decided against it. As popular as the series is here in America, the Cirque series was originally published in Great Britain. His full name is Darren O'Shaughnessy. He's Irish and wrote lots of books, comic strips, and short stories that were never finished or published. The ball got rolling after a 15 year old Shan was a runner-up in a television script writing competition for Radio Telefis Eireann. He finished his first novel, Mute Pursuit, when he was 17. It was never published but he loved it so much that he started writing more novels and less short stories. He has written two other series besides Cirque, The Demonata (it's good) which follows three different protagonists with interlocking story lines and their fight to save the world againt a demon army, and The City trilogy which follows a young determined man as he makes his way through the life of a big city gangster. Shan is now 37 and lives in Limerick, Ireland. His books have sold over 15 million copies in 40 countries. Are you planning to see the movie (out Oct. 23)? I am and I'll be sure to post a review. Hope I'm not disappointed! 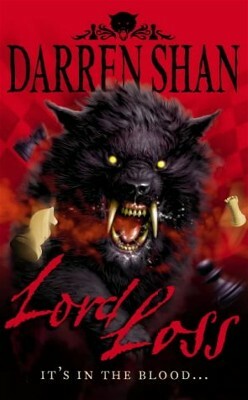 I've heard so many great things about the Cirque du Freak series, I might get around to reading them some day! But I'm definitely seeing the film! Thank you for the fun facts. I still haven't read this series but I do want to watch the movie. I look forward to your review.